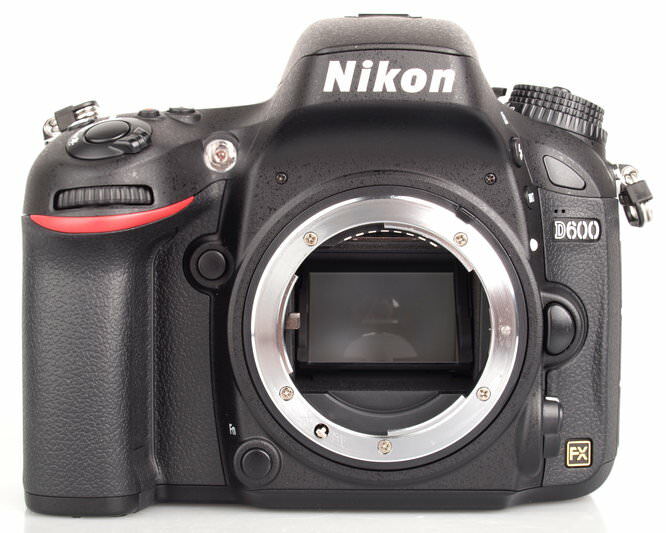 The new Nikon D600 is a full-frame Digital SLR available with a 24.3 megapixel sensor and a compact body. Find out how it performs in our review. 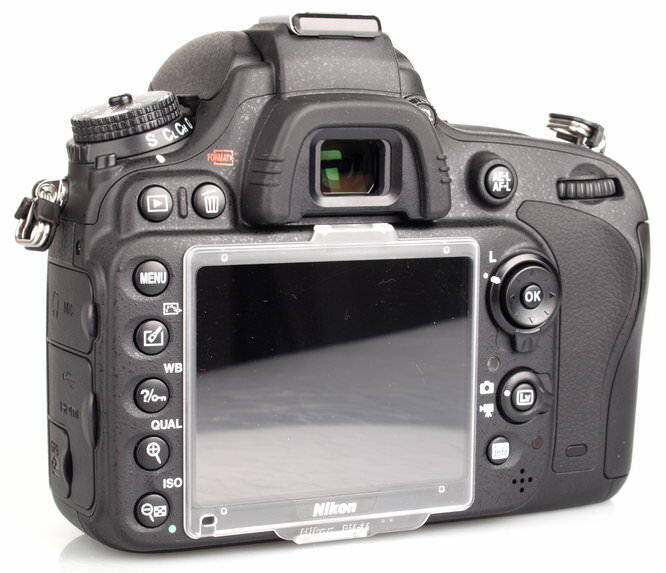 The Nikon D600 is a new full-frame 24.3 megapixel camera with full HD video recording and a weather sealed body. The camera shoots at 5.5fps, features ISO50 to ISO25600, and a large 3.2 inch screen on the back. The Nikon D600 doesn't appear to cut down on features, with a fully loaded body, with ports and controls galore, with both headphone and microphone sockets, as well as dedicated shooting buttons and control dials. 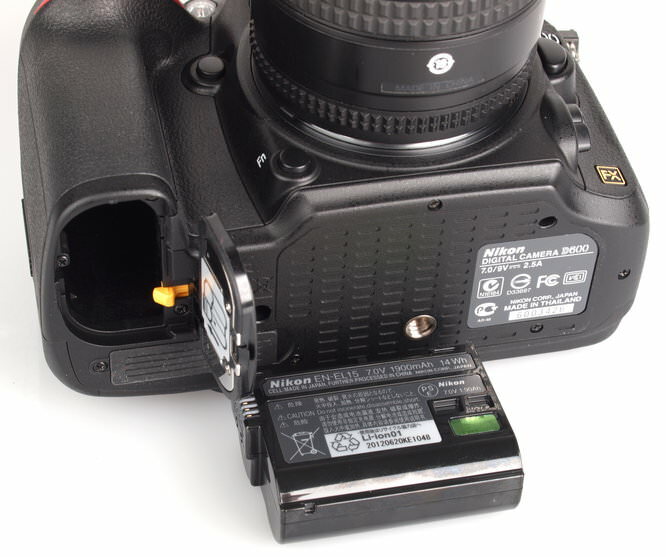 The D600 can also be expanded with an optional battery grip, and the body features a metal construction and weather sealing. It's also the "cheapest" new full-frame Digital SLR from Nikon, although it's not particularly groundbreaking, being a very similar price to other full-frame Digital SLRs, such as the 20 megapixel Canon EOS 6D, and also the 36.3 megapixel Nikon D800. 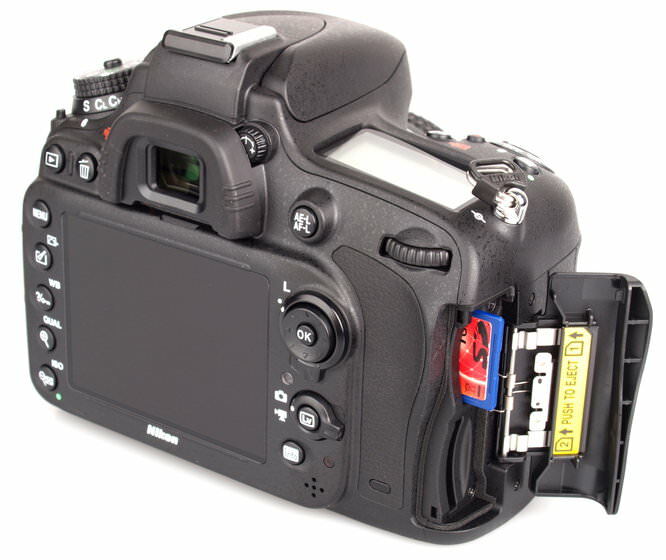 Handling - The D600 is one of the more compact full frame digital SLRs available, with a similar size to the original Canon EOS 300D, and Olympus E-30, although weighs more than the Canon EOS 6D, at 850g compared to 680g. The body is weather sealed to the same standard as the Nikon D800, and features a magnesium alloy top and rear cover. The hand-grip is large and comfortable with a good sized rear rubber thumb grip. There is also rubber on the left hand side of the camera giving some additional grip, although the majority of the left side of the camera is used for the side ports. The rear has a number of buttons and controls to give direct access to WB / ISO / Colour settings as well as shooting modes with a secondary dial neatly placed under the main mode dial. Like the main mode dial, this secondary drive dial can only be turned when you press the release button, and features quiet mode, mirror lock up mode, as well as the standard self-timer and continuous shooting options. The camera feels very well made with a solid body that should last well, although only time will tell. There is a soft rubber eye surround, as well as dioptre adjustment, and the controls and dials for changing aperture / shutter speed and shooting fall easily to hand, making it easy and enjoyable to concentrate on shooting. Menus – The menus are clearly laid out and the screen is extremely clear with excellent viewing angles. Although using live view in bright outdoor conditions it was occasionally difficult to see the screen. The menu system on the camera is split into six sections: Playback, Shooting, Custom Setting Menu, Setup, Retouch and My Menu. Navigating the settings is fairly straightforward and you can press the “?” button to bring up help on any setting. My Menu can be customised to allow quicker changes to settings. Battery life - Battery life is rated at 900 shots according to CIPA test results, we were able to take 580 shots before the battery went flat, this included a number of videos. Speed – We took a number of shots to test the camera's responsiveness, from switch on to first photo, shot to shot, focusing speed etc. We take a number of shots and then use the average to ensure accurate and consistent tests, making it easy to compare with other cameras. The camera has very quick shutter response, this is still quite quick in live view mode (this can be a problem with live view, for example the Nikon D3200 is much slower). Focus is quick, but much slower in live view mode. Switch on time is excellent, as is shot to shot time, although this is slower with flash. Continuous shooting is very good at 5fps, and when shooting JPEGs it's possible to shoot a good number before it slow down. Tested with a high speed Class 10 SDHC memory card. Nikon Nikkor 24-85mm VR lens used for focus and shutter response tests. Sample Photos - The camera delivers clean images with low noise, good levels of detail, excellent colour, and dynamic range appears to be excellent, with D-lighting options including Off, Low, Normal, High, Extra High and Auto. With a full frame sensor and a lens like the Nikkor 50mm f/1.4, it's possible to create images with an extremely shallow depth of field, giving extremely pleasing background blur (bokeh), and subject seperation. It's possible to recover what appears to be a very badly underexposed RAW image by 2EV, and still have a useable image. Exposure was generally very good, apart from in the shot shown above, this was one image out of hundreds where the camera was fooled by the bright window behind the main subjects. 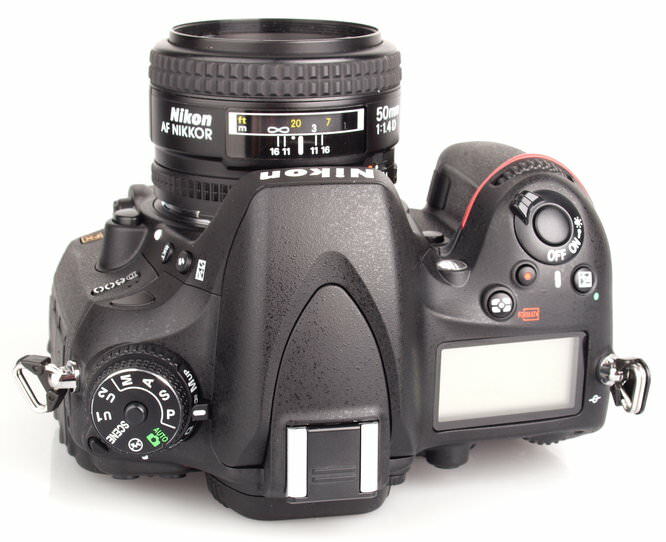 Lens Performance - The lens performs well at both the wide and telephoto ends, and the 24-85mm lens is available as a kit with the Nikon D600. The lens doesn't give a very close focusing distance for macro photography, and if this is your preferred photography style, then there are a number of other lenses available. Purple fringing and CA (chromatic aberations) are low. 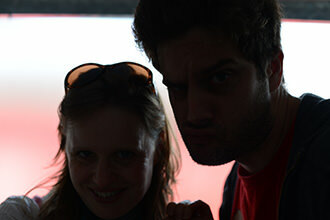 There is noticeable barrel distortion at the wide end of the 24-85mm lens. There is a little pincushion distortion at the telephoto end. Noticeable vignetting at both ends, but more so at the wide end. Options for wide-angle correction, and auto distortion control are available in camera, however we left auto distortion control off, and vignette control was set to normal. ISO Noise Performance - Noise is very low at ISO50, ISO100, ISO200 and ISO400, with some noise appearing at ISO800. There is a slight increase in noise at ISO1600, and then a more noticeable increase at ISO3200, although results are very good. Detail is very good even at high ISO settings, although there is a slight drop in detail at ISO6400 and noise is quite strong, and this increases again at ISO12800. At ISO25600 there is a very significant drop in detail, and this setting could be best avoided due to excessive noise. ISO settings: High ISO NR (Norm). White Balance Performance - Auto White Balance (AWB) under tungsten lighting gives a warm image with a yellow cast, and using the tungsten preset does little to improve the image, instead giving a slightly greener cast. Using AWB under fluorescent lighting gives similar resuls with a slight yellow cast, although results are better. Using the fluorescent preset (3 of 7) gives a much more nuetral image, and for better colour using a preset or custom white balance is recommended. Outdoors, and under natural lighting this was not a problem, and auto white balance performed extremely well. Digital Filters - The D600 has a number of options available for customising colour while taking a photo, with defaults including standard, neutral, vivid, monochrome, portrait, landscape, these "Picture Controls" can be customised letting you set sharpness, contrast, brightness, saturation and hue. D-lighting is available, as well as HDR shot. In playback mode there is a retouch menu as well as built in RAW processor. Image effects include options for D-lighting, red-eye reduction, trim, monochrome, filter effects (warm, red, green, blue, cross screen, soft), colour balance, image overlay, resize, quick retouch, straighten, distortion control, fisheye, colour outline, colour sketch, perspective control, miniature effect, selective colour, movie edit. RAW processing options let you alter image quality, size, white balance, exposure, picture control, high ISO NR, colour space, vignette control, and D-lighting. Video - Multi-area D-Movie records FX- and DX-format Full HD (1080p) movies in 30p, 25p and 24p. Max recording time approx. 29 minutes 59 seconds. Offers uncompressed HDMI output to external devices and high-fidelity audio control. Time Lapse Photography to save images as movie files and view slow action in fast playback, with playback rates from 24 to 36,000 times faster than normal. The Nikon D600 features a microphone and headphone socket which is extremely useful for anyone more seriously into video creation with a Digital SLR. We recorded the following video hand-held to see how the VR built into the lens coped and there is another video on the ePHOTOzine YouTube channel shot at ISO6400 in low light, and then edited / cropped on the camera. 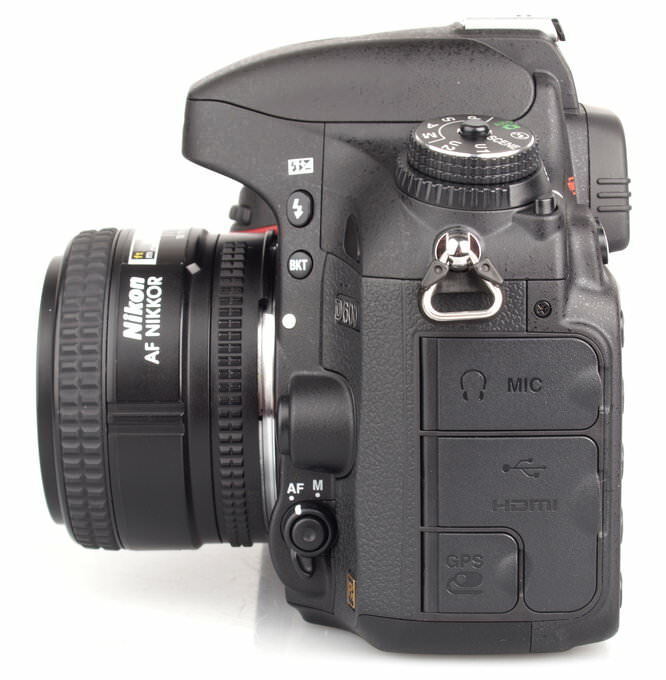 The Nikon D600 is available for £1729, although this is the current price, so may fall with time. The Canon EOS 6D will be available (shortly) for £1799, with 20.2 megapixels, features a lighter body, built in Wi-Fi and GPS, although slower continuous shooting, and lacks a headphone socket. 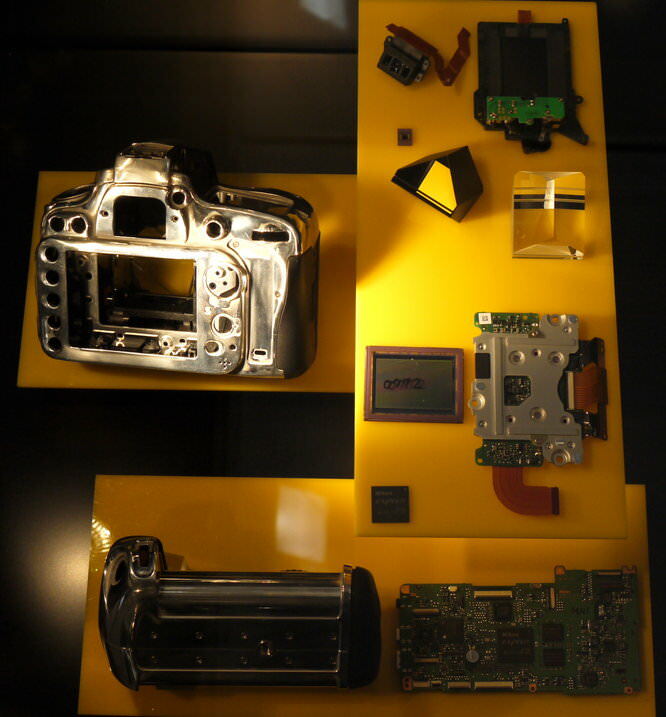 The Nikon D800 is available for around £2000-£2200, with 36.3 megapixels. The Canon EOS 5D Mark III available for £2655 with 22.3 megapixels. You'll also need to buy a memory card and a case or bag to keep your camera safe and protected - have a look at our complete guide to camera bags. The Nikon D600 is a full-frame 24.3 megapixel camera with excellent image quality and performance. It offers excellent noise performance, excellent image quality with good detail even as the ISO setting increases, and puts it all into a rugged weather sealed body with a great 3.2inch screen. The camera offers advanced Full HD video recording with both microphone and headphone sockets, and videos benefit from the full frame sensor in low-light situations. Handling is very good with a large rubber grip and ample buttons and controls on the outside of the camera so that you can avoid using the menu systems if you prefer. A number of built in editing options, RAW processing, and video editing could save a lot of time as you are able to edit and customise photos and videos away from the computer. The fact that the camera is available for just over £1700 makes it very good value for money for a new full-frame camera, and quick 5.5fps shooting and a number of advanced features makes it versatile and suitable for a number of different situations. For example built in time-lapse video creation could save a lot of time, and the electronic level could save further time correcting images later. The camera comes with a printed manual, wide strap, and 2 year warranty further expanding the appeal of the camera. 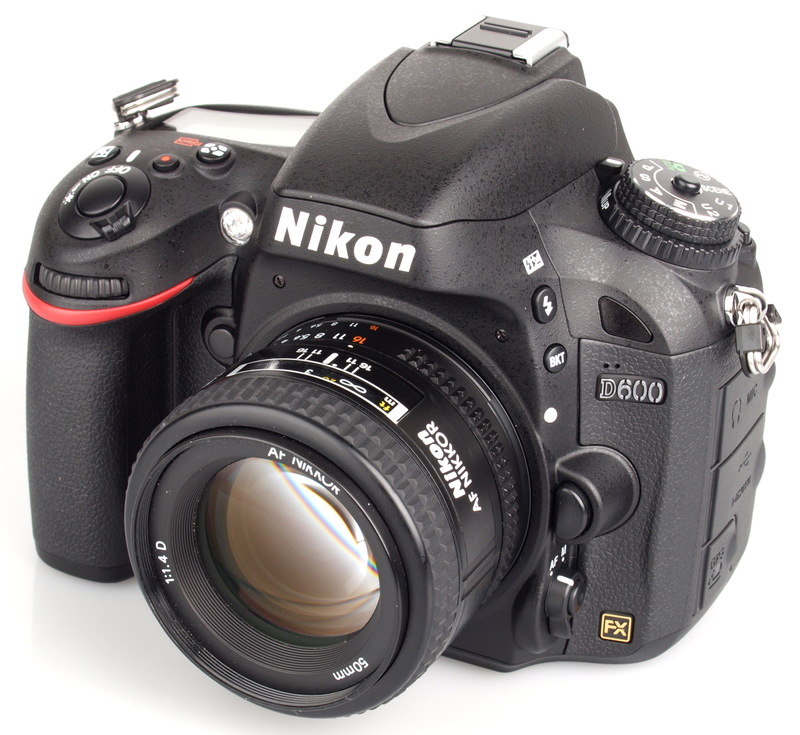 The Nikon D600 performs extremely well with excellent image quality and a compact weather sealed body. On cursory exam of the night shot it would appear that it is very grainy the same shot with a D700 would be very sharp with much less noise megapixels do not = quality, Most cameras on the market in the last 5 years can recover underexposure by +2ev, recovering over exposure is the benchmark to hit Fuji S5 can recover detail in highlights up to +8 comfortably will be sticking to my D700 and S5 bodies for some time yet. will be sticking to my D700 and S5 bodies for some time yet. It's a great camera but for me it's too heavy, big and expensive. I give up on FF games played by camera manufactures...Sigma DP2 Merrill does the same job better, cheaper. Fuji E-X1 is a great camera too. By my reckoning this is a D7000 copy in many ways, and at more than double the price I don't consider it to be worth bothering with. [quote]You got the price wrong for this camera no one is selling it that cheep. its price is from £1615 to £1954 depending on what relater you go to,[/quote] Hi Chris, the prices are auto-generated by the system, they should now be showing correctly, it's currently showing £1660 (from Wex). Hi Chris, the prices are auto-generated by the system, they should now be showing correctly, it's currently showing £1660 (from Wex). this is where i got my prices from its a good link to look at. In the US, the prices are now really low at $1600 body only, if you sell the lens with the kit. Overall the [link=http://www.btobey.com/nikon/d600-review.php]D600 [/link]is a fantastic camera for the price. It is a better value than the D800 and shoots at faster FPS too. In the US, the prices are now really low at $1600 body only, if you sell the lens with the kit. Overall the D600 is a fantastic camera for the price. It is a better value than the D800 and shoots at faster FPS too. 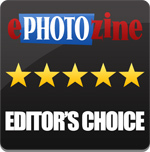 The D600 is only cheaper than the D800, it is not better value than the D800. Compared to D800 you get 66% of the pixels, 63% of the flash sync, 50% of the shutter speed, 66% of the alloy body, 76% of the focus points, only 60% of the 'f8' focus points, 50% more start-up delay etc. If the D600 is 67% of the price of the D800 then that to looks to me about 'fair value', no bargain.